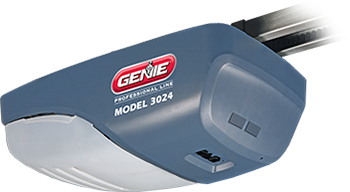 Genie offers residential and commercial garage door openers and remotes to make your garage door system automatic. 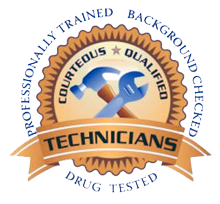 Genie has been manufacturing door openers for over 61 years and are a top choice among professionals and homeowners alike. One of the top name brands in door openers is Genie and Elite knows how to install, repair and operate them all. 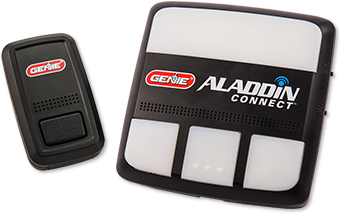 Operate your garage door via smartphone with Genie Aladdin Connect. Aladdin allows you to control and monitor the status of your garage door from anywhere with a smart advice. 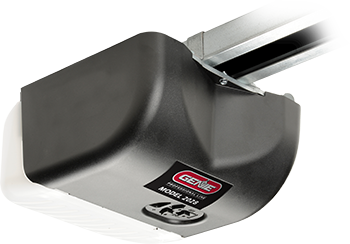 If you currently have a Genie door opener, we can assess and provide solutions to upgrading your exiting garage door opener to make it “smart” and talk to your iphone, ipad or android smart device. With so much of our home being controlled remotely, why not add your garage door system to the list? With Genie’s intuitive smartphone app, you can now control your garage door from anywhere in the world. LEARN MORE ABOUT GENIE ALADDIN CONNECT. TriloG Pro Series offers power, speed, intelligence and convenience. With Aladdin Connect you can control and monitor the status of your garage door from anywhere with a smart device.